In January last year after an outing with our niece, my partner and I decided it was our turn to try and bring a baby into the world. I’d been off the pill for 5 months, and was cycling regularly. Once we’d had the conversation, we starting trying right away as I had a good idea when I was ovulating. It took only 2 months to get pregnant and I’d carried this pregnancy through to 12 weeks, but sadly it ended in miscarriage. It was incredibly painful and resulted in a trip to my local ER for some very strong pain relief. At this stage I had very little bleeding. The fetus came away completely and a scan the next day confirmed that there was nothing left. I was advised to have at least one cycle before trying to get pregnant again. Of course we were keen to try again, but I didn’t think it would happen so quickly. Less than 6 weeks later, I was pregnant again. Like the previous pregnancy, this one didn’t present with too many symptoms. At 7 weeks, I had an internal scan because my uterus was so far back, the fetus could not be detected. A heart beat was found, but 2 weeks later I started spotting. I immediately ran to my ER (luckily I work in a hospital) and the doctor advised me to get another scan ASAP. So, the next day off I went, and it was confirmed the fetus had stopped growing at 7w4d… we were devastated to have had this happen a second time. Christmas was approaching and my partner and I decided we would wait until after Christmas to try again. In the meantime I was keen to find out as much as I could about natural products to be taking, to better prepare my body. Up to this point, I was using over the counter products. I came across Natural Fertility in a Google search. I instantly liked how easy it was to find information and was first drawn to the testimonial pages. After reading all the testimonials (especially on recurrent miscarriages), I decided to look at UteriCalm and Baby & Me. I liked the fact that there was a product to help relax the uterus, as I was convinced the 2nd miscarriage resulted 1) because it was too soon after the first and 2) because of some sort of chromosomal issue. I also researched on what foods would be more ideal, and downloaded some of the recipes available. This is when I decided to look at Baby & Me. I liked that it was 100% whole foods, and contained supplements which are lacking in a New Zealand diet. Baby & Me and UteriCalm arrived just into the new year. I started taking both straight away at the recommended dose (delivery took a while but that was because of NZ customs). I’m still taking Baby & Me and Utericalm – I am 5w2d into my 3rd pregnancy. I’ve noticed the biggest difference in taking Utericalm. In the two times I have cycled whilst taking it, I have not noticed any cramping or discomfort throughout menstruation. In fact, even through I’m very onto when I’m due to have a period. This took me by surprise because I am so used to having some discomfort that comes with having a period. I’m a big reader, but the information has to be clear, concise and to the point, and I like to read real life stories – so I was always searching for what has worked for other people and their experiences. It’s been a huge help to also have friends and family share their own experiences however they have occurred and whatever the outcome was. Everyone says to try and stay in a positive frame of mind – which is difficult when everywhere you turn, someone you know is pregnant or giving birth. It could have been so easy for me to get depressed and jealous, but I didn’t. In fact I felt more happy for those that announced their pregnancies and births, knowing deep down that some day my partner and I would be welcoming our baby into the world. I only have my partners family for support here in NZ, my family still live in the UK, and are only available via video call – which is frustrating when all you want is to hug it out with you mum and sisters! At only 5w2d, I’m so frightful that this could also end in miscarriage, and I’m grateful that my GP has referred me to a specialist who I’m due to see next week. I will continue with the 2 products I am using and here’s to hoping I can make my 12 week scan, and later on, hope that 2 becomes 3. 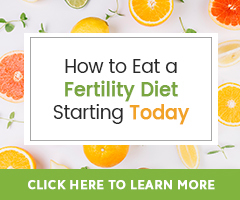 Thank you Google search for putting Natural Fertility on my contact list. We’ve not had the greatest start as she was diagnosed with cardiac defects in uterine, we are 11weeks into our stay at NICU but we hope to be home soon. To say we are delighted with our little fighter is an understatement – and she wouldn’t be here without the help of natural fertility products. Conception was easy after taking utericalm – and I could feel a difference when taking it. Even my periods felt different – less firery.